For thirty years, PLMA’s annual “World of Private Label” International Trade Show has brought retailers together with manufacturers to help them find new products, make new contacts, and discover new ideas that will help their private label programmes succeed and grow. Today, the need for new products, contacts and ideas has never been greater. Private label market share stands at its highest ever. The future promises even more private label as retailers expand internationally and take a larger role in marketing themselves and the products that they sell. PLMA’s 2019 “World of Private Label” International Trade Show will be held at the RAI Exhibition Centre in Amsterdam, The Netherlands, and will present over 4,300 exhibit stands including nearly 60 national and regional pavilions. Products on display will include fresh, frozen and refrigerated foods, dry grocery, and beverages as well as non-food categories, including cosmetics, health and beauty, household and kitchen, auto aftercare, garden, and housewares & DIY. The show floor is divided into separate food and non-food halls to help visitors make the most of their time. Denmark will participate at the PLMA Amsterdam trade fair, with both conventional and organic products. The Danish exhibitors will be present in hall 2, 3 and Europa Plaza. 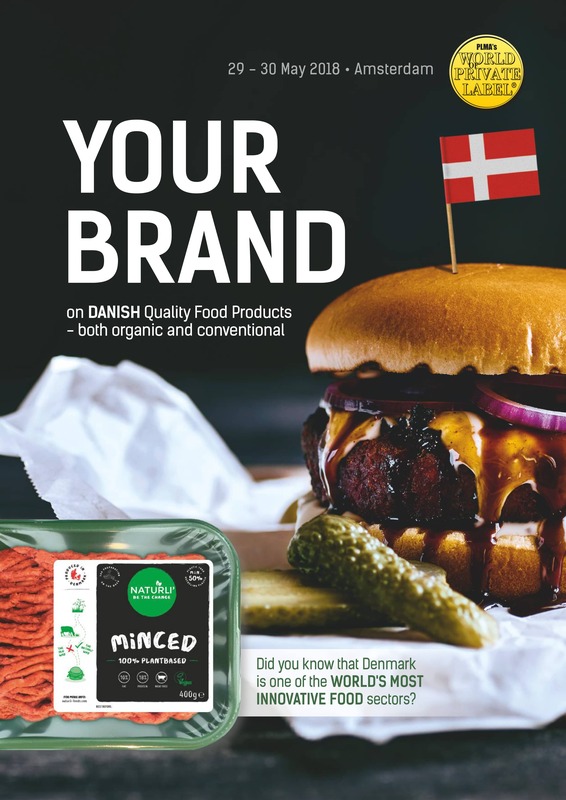 Our exhibitors will introduce you to a wide range of delicious Danish food including meat and poultry, bakery, snacks, sweetss fish & seafood, sauces etc.